Wireless Technology So You Can Manage Your Business From Anywhere. Make sure you’re getting the most out of your heat press. Track how much time your heat press is working vs. sitting idle. Access real-time reporting and adjust your production capacity as needed. Gain insight into when and how your employees are working, if there are any application issues, and manage permissions for accurate application without added supervision. The FUSION IQ™ measures every preheat and every heat application so you stay up-to-date on the number of times your heat presses were engaged. Eliminate mistakes by using factory installed pre-sets, or create your own to accurately apply the types of transfers and films your customers are ordering. See how many times an operator went outside a pre-set application. Avoid production missteps to maintain the quality and durability of your products. Choose from the original FUSION, Air FUSION or for high production, the Dual Air FUSION. 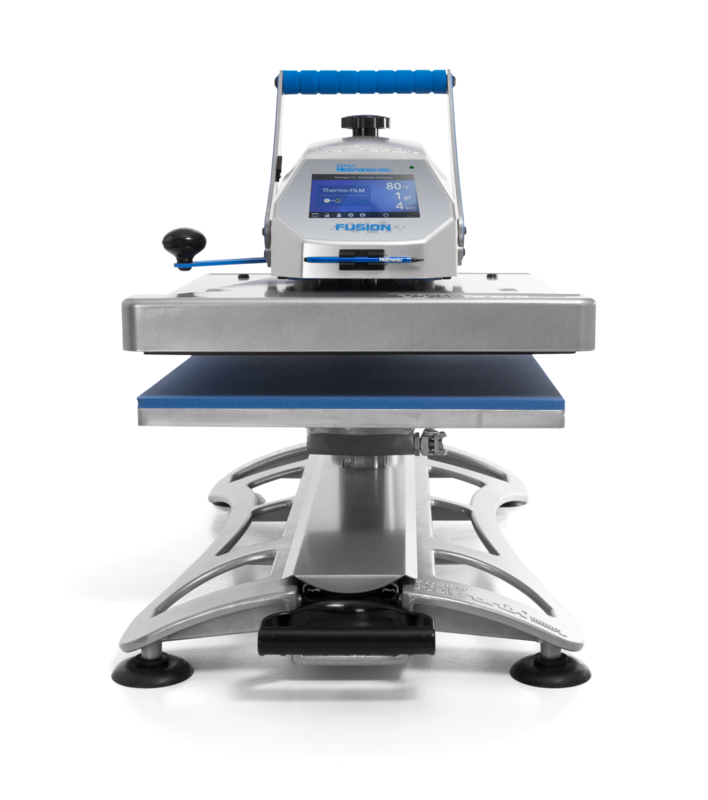 Each heat press features the EZ-on platen design which provides Threadability™. The touch-screen makes it easy for the operator to program the correct time, temp and pressure.